I have finally got my much much awaited desire filled. 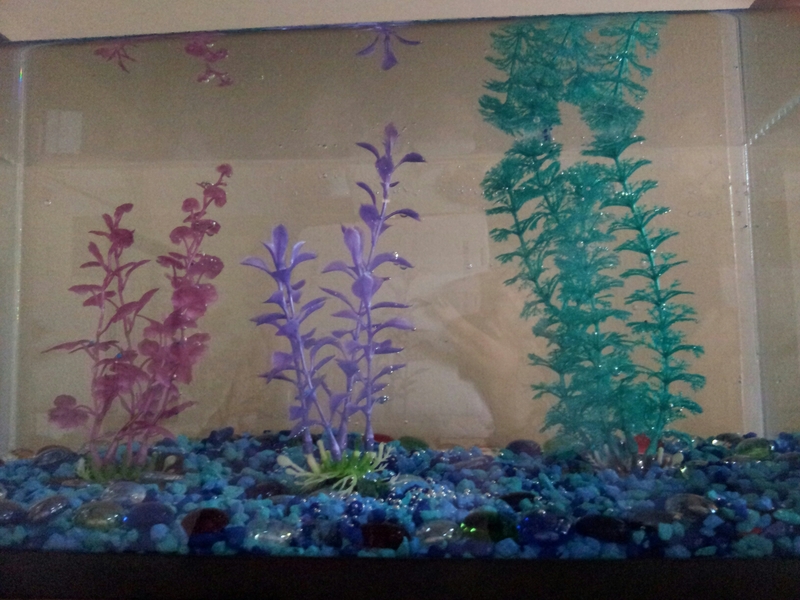 My hubby got me a fish tank for my bday. As per instructions, we were to fill the tank and wait for the temperature of the water to be at room temp. Hence, we put in the stones, decorations and filled it at night and decided to put the fish the next day. At night, It looked so pretty that I couldn’t help looking at the stillness and the beauty of it all. In the morning, the little drops had settled on the plants and made it prettier than it was. I have kept the fish tank on my computer table. All I have to do is lift my head from the screen and there is the beauty. It is evening now. My hubby is about to bring the fish and NOW, I finally understand why God made living beings (Oh, humor me!) The earth is so pretty and how could he let it be still. He had to make life so it could enjoy the creation he had made. Look how prettier it gets when the fish have come. 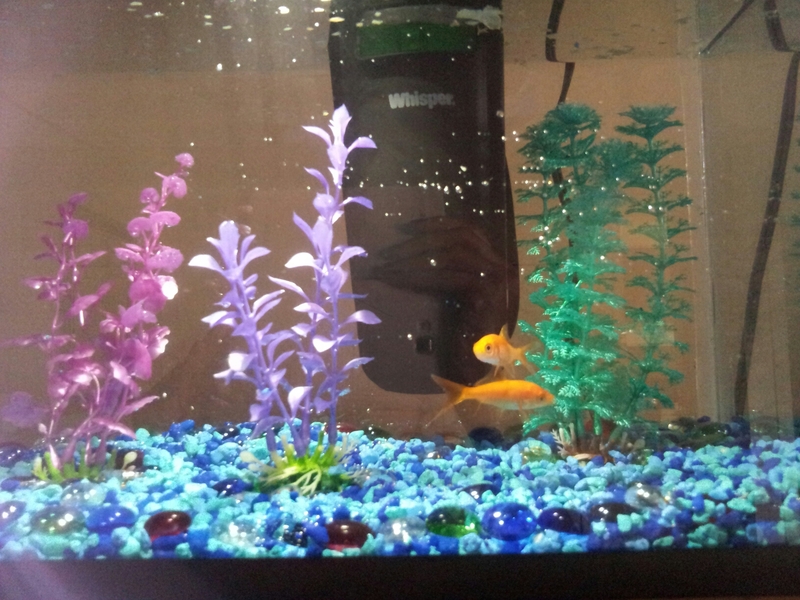 We have 2 fishes now. The bigger one is called Hope and the smaller one is called Faith. Please send your blessings for them to enjoy their stay here with us for a loooooong time. I watched a download of a sitcom and realized that it is different from watching it on Tv. There are no advertisements. it feels great. it really does. One more thing that i realized was that advertisement really effect our attention spans. One more more thing, it tests your patience and memory, if u like something u sit through the advertisements and come back to what u were watching.